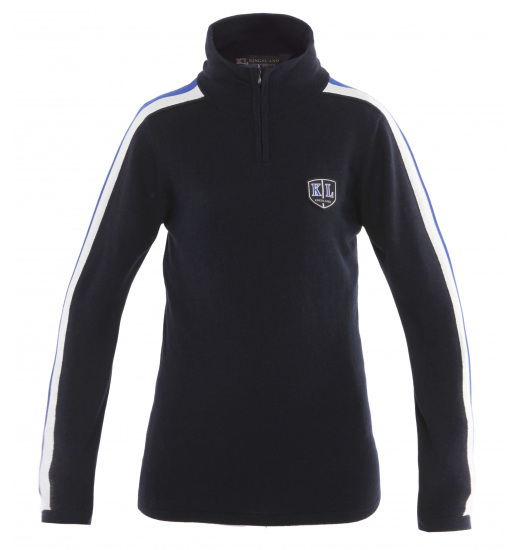 Wimbledon ladies sweater with short zipper for easy donning. Long collar perfectly protects against the frosty days. Sweater has a stylish contrasting stripes on the sleeves and KINGSLAND stripe on a chest.